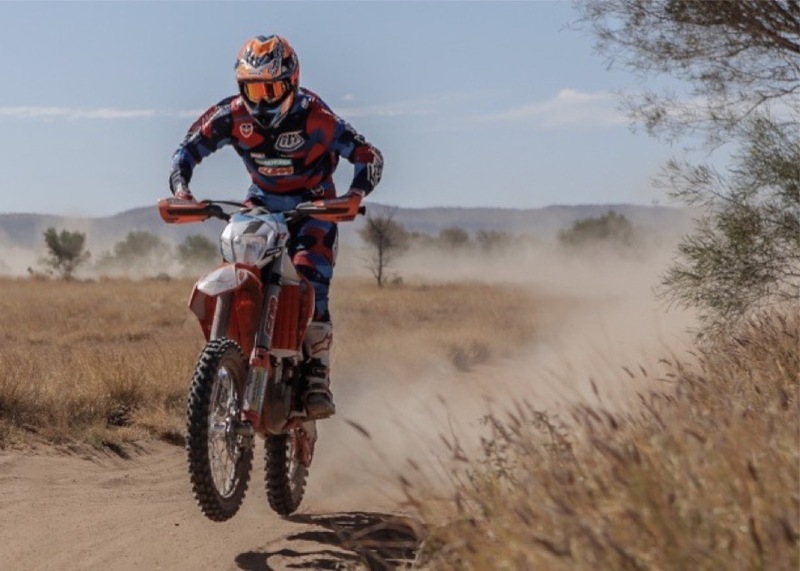 Toby Price has reaffirmed his status as King of the Desert, winning the 2015 Tatts Finke Desert race over the June long weekend. The 480-kilometre journey was raced over two days, departing Alice Springs and heading south, following the route of the old Ghahn railway track to the Finke township and back to Alice. The 27-year old, who also finished third on debut in this year’s Dakar Rally took a four-minute 45 second lead into the overnight camp at Finke, extending his lead to win by almost two minutes to KTM team-mate Tye Symmonds. “My theory was that if I could get a good run down and pull some gaps, hopefully my way home would be a little bit easier for me, so yesterday I just bit my lip and hung on and went for it,” Price said. Yamaha’s Josh Green finished third, 11 minutes and 24 seconds behind the leader. The win is the second Finke crown in a row for Price, who suffered a broken neck at the same race in April, 2013 and makes him a four-time Finke champion. “It definitely wasn’t an easy one on this trip,” Price said. This year’s Finke saw approximately 600 motorcycle and 134 car competitors make the journey, as approximately 15,000 spectators camped along the length of the 240 kilometre course. Ride the new Yamaha YZF-R3 – this weekend!